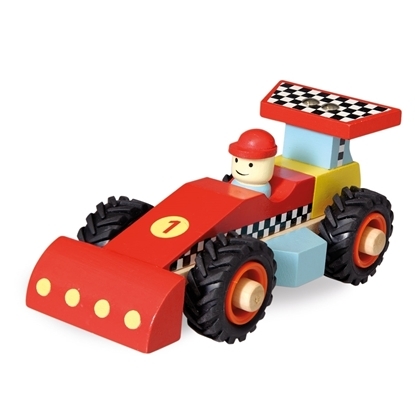 Wooden red race car, for small hands to push and to drive, rolls very well and is very stable. 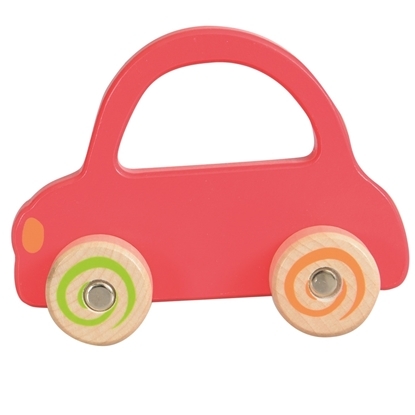 Handy first car for toddlers! 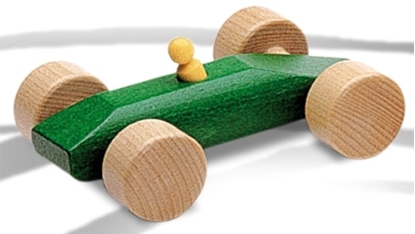 Wooden green race car, for small hands to push and to drive, rolls very well and is very stable. Handy first car for toddlers! 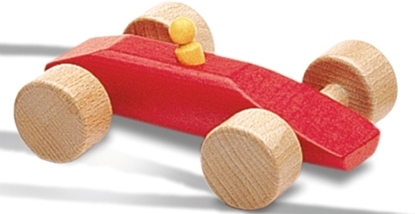 Wooden red race car number 1 with rubber tires, play car for toddlers, very light to play with. Let's the race begin! Cardboard case in the shape of a garage. Open, it becomes a real garage to play with the cars. In the suitcase is included a play mat with city map and roads where to drive, 2 small cars, a small ambulance and a small fire engine, all of them equipped with a magnet, what makes it more fun to play with. Everything is always ready in the garage case to be taken with ... on a trip, or a visit. Everybody ready? Go ! 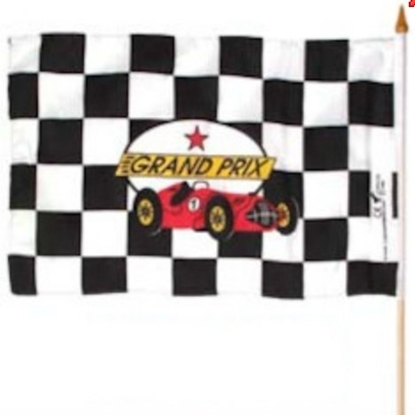 The flag lowers to give the start to the race and, at the end of the race, the flag will go down again on the winner! First play car for the little ones. It will be easy for their small hands to hold the car while playing.